The latest technology in miniature motors has produced motors that have size dimensions of only millimeters. Some advantages of miniature motors are increased precision, less required space and more efficient power generation. 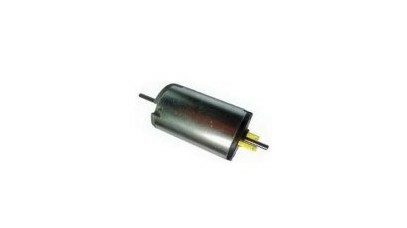 As a result of their many benefits, miniature motors are being utilized in a wide range of industries including: commercial, in which they are popularly used in toys such as remote-controlled cars, electronic games and Tickle-me-Elmo; automotive, for use in the air conditioning systems, radio antennas, power windows and more; residential, used in household appliances such as vacuum cleaners, blenders, refrigerators and even electric toothbrushes and razors; and electronics, in devices such as CD players, clocks, computers and VCRs. Additional industries that use miniature motors include industrial manufacturing, medical, construction, semiconductor and aviation. While miniature motors can be fuel-powered, they are most often electric motors, which provide the benefits of more sanitary operation as well as being a less expensive option. Electric miniature motors are designed with the same basic components as larger electric motors, just at a much smaller-scale and generally less complex. As a result, miniature motors mainly consist of a casing, one or two field magnets and an armature, which is also known as a rotor. An armature is an electromagnet that has been formed by thin wire coiled around two or more poles of a metallic core. Depending on the type of miniature motor, it may also contain brushes used to direct current flow to the magnets. If the motor does not contain brushes, an external power supply must be used to perform the same function. However, most miniature motors will contain brushes so as not to require the addition of the power supply that would increase the bulk of the motor. In addition, in the majority of miniature motors the armature of the motor will have three or more poles, meaning that rotational movement is possible from any starting position, whereas with the- less common two-pole motors the armature may not rotate if it is in of horizontal balance between the two poles. Also, three-pole motors have much better dynamic movement overall as well as increased efficiency compared to two-pole motors since they are much less likely to short the battery. Miniature Motors Miniature motors, also referred to as micro motors or small motors, are fractional horsepower motors that must fit the frame size and/or less than one horsepower requirements, as well as fit the size dimensions of a couple inches or less.